Happy Mother's Day from Theresa's Haunted History of the Tri-State! Firstly, the story of the Greenbrier Ghost, while tragic, tells a beautiful tale between the bond between a mother and daughter that couldn't be broken, even in death. The story has been shared so many times, that I could never do it justice. However, the basic story goes as follows: When young bride, Zona Heaster Shue, was found dead under mysterious circumstances, most people suspected her husband. However, it would take the convincing of her mother, who received several signs and then later dreamed that Zona came to her and told her that she was murdered, to bring a conviction. Secondly, this photo means 'motherhood' to me on a very personal level. It was taken during the summer of 2009. 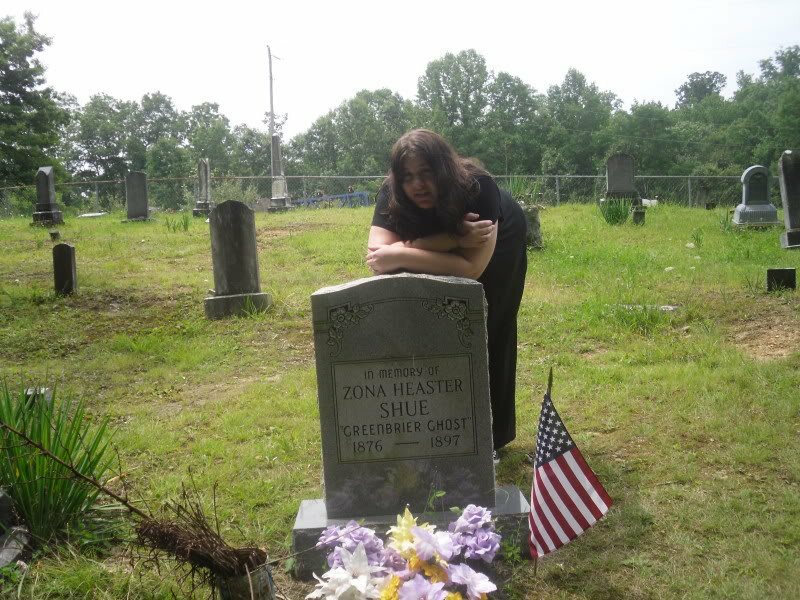 My mother, who has always supported my love of all things paranormal, and I went in search of the elusive grave of Zona, the Greenbrier Ghost. 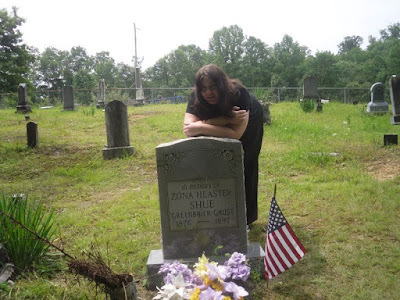 We had easily found the highway marker, but could NOT find the cemetery anywhere, lol. We drove around for a couple of hours down the creepiest, most desolate country roads, desperately trying to follow the flimsy directions I had found. It was actually a lot of fun, and gave me and my mom an excellent opportunity to spend the whole day together. Further...you can't tell since I'm crouching down behind the stone...but this photo also shows my own journey into motherhood. I am about six months pregnant with my one and only son, Luke!